I was brought up by parents who grew up during the Depression in New England, and the Puritan frugality was bred pretty deeply in me. The whole “Reduce / Reuse / Recycle” motto was just the way things were during my childhood – especially Reduce and Reuse. Nothing was every thrown away that might have another use sometime in the future. Protecting the environment by keeping things out of landfills was just a fortunate by-product! Which is why I sometimes think our business is the perfect business for me. We help people repair or enhance their current equipment rather than dumping it and getting something new. Sometimes, it’s just one component that needs to be replaced, and that’s something we can easily do. An older computer can have a new hard drive added to provide more storage, rather than getting a whole new computer. Or, it can have a RAM upgrade to help it perform faster. Or, change out the keyboard or screen on a laptop when they break. However, with some of the technology being sold today, they are just not being built to be repaired! Some companies are now using cheap plastic clips to hold things together rather than the teeny metal screws. Extra care must be taken to remove the clips so that they don’t break or snap, and putting them back together again can be a challenge. This adds extra time to the repair work, and makes the repair bill more expensive. And to all of those folks out there who say “It’ll cost $200 to fix my keyboard? I can get a new machine for that!”, I remind you that you get what you pay for. We’ll always tell you when it’s more cost effective for you to replace rather than repair. For example, it’s almost always more cost effective to replace a broken printer then to repair it. A broken keyboard can go either way. If you’re like me though, the cost to replace will always include the environmental impact of adding to the trash heap. If you’re wondering what kinds of services we can provide, please check out our services page. Last week my nephew shared a story about an iPhone in his town of Philly that had burst into flames in a young girls pocket. Twelve-year-old Alexis Rolon has had her iPhone 5C since November and was carrying it in her back pants pocket when it started burning, giving her second-degree burns. Since I had an iPhone last year that would get very, very hot, I wondered what the frequency is of cellphone fires and did a little research. My search turned up several stories. Another middle-school student in Maine had the same experience as Alexis with her new iPhone 5C. She sat down in class with her phone in her back pocket. She heard a “popping” sound, and then felt a burning sensation. She was trained well, and did the “drop and roll” thing, though I think taking the phone out of her pocket should have been her first priority! 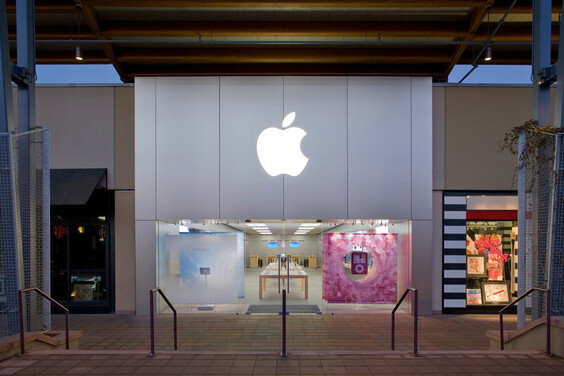 Last October, an iPhone 6 exploded, then started burning in a man’s front pants pocket. He was in a minor accident and landed against a metal bar which bent the phone. Right after than the phone exploded and left him with first and second-degree burns. Last August a young girl had stored her iPhone 5 in her purse prior to boarding a plane for a flight from Israel. When the cabin of the plane started filling up with smoke, the girl realized the smoke was coming from her purse. When she opened the purse, flames were clearly visible. The airline blamed it on the lithium battery, though other stories blame it on a faulty screen replacement. checked last fall. It had been getting increasingly hot, and I was noticing that the screen was lifting up off of the body of the phone. We brought it into the Apple store in Boulder and made an appointment to have it looked at by one of their techs at the Genius Bar. Sure enough, the battery had expanded and actually pushing the glass screen up and away from the body of the phone. Apple replaced the battery and the screen under warranty. My phone no longer over-heated and I had a new scratch-free screen! The moral of the story: If your iPhone is feeling hot or you notice something off about it, bring it in to one of Apple’s retail stores and get it checked out. Prior to bringing it in, sync your iPhone in case they need to restore it to factory settings. Also, if you can, remember to go online and make an appointment ahead of time. That will save you the three hour wait I had for my appointment time. If they do determine that it needs to be repaired, you’ll need to leave it with them and pick it up when they’re done, usually an hour or two later. More than once I’ve heard someone say they won’t ever get a virus because they have a Mac. Unfortunately that’s just not true. 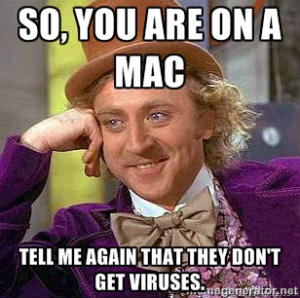 Mac’s can get viruses just as easily as any other kind of machine. It used to be that malware was written specifically for the Microsoft Operating System, because there were just so darn many of them out there. If our experience at Geek For Hire, Inc. is any guide, plenty of our customers with Apples are getting all kinds of malware. In fact, way back in 2012, Apple itself recognized the flaw. In April, 2012, more than a half million Macs were infected by the Flashback Trojan bug. Shortly after that, PC Magazine reported that Apple “removed from its website the claim that its Mac operating system is not susceptible to PC viruses.”, and changed its tagline to “It’s built to be safe”. It’s best to protect yourself with a good anti-virus program for Macs. We like ESET’s Cyber-Security. Questions? Comments? Feel free to post them below. I’ll try to respond to every single one!